All new vehicles will be required to have anti-rollover technology by the 2012 model year, the government said Thursday, predicting it could prevent thousands of roadway deaths a year. The technology, known as electronic stability control, or ESC, has been called the greatest safety advance since the seat belt, reports CBS News correspondent Nancy Cordes. The Transportation Department said "electronic stability control" could save between 5,300 and 9,600 lives annually and prevent up to 238,000 injuries a year once it is fully deployed into the nation's fleet. "Like air bags and like seat belts, 10 years down the road we're going to look back and wonder how the ESC technology was ever lived without," Transportation Secretary Mary Peters said at the New York International Auto Show. Could playing video games make you smarter? ESC is a step up from anti-lock brake systems, adds Cordes. When a driver swerves suddenly, sensors apply brakes to individual wheels to keep the vehicle from spinning out of control. Stability control is already standard on 90 percent of all new SUVs. But fewer than half of all other new cars come equipped with it. So automakers will have to move quickly to comply with the new rules. "There seems to be general recognition from auto manufacturers and the suppliers and safety advocates that this is technology that will save" thousands of lives, said Nicole Nason, administrator of the National Highway Traffic Safety Administration. More than 43,000 people are killed annually on the nation's roadways. Safety advocates view electronic stability control as a major advancement in safety because it holds the potential of reducing rollover deaths. More than 10,000 people die in rollover deaths a year, even though only 3 percent of crashes involve rollovers. 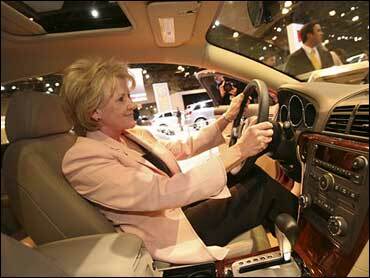 Peters said nearly 40 percent of all 2007 vehicles already have the technology, including about 90 percent of SUVs. NHTSA said the proposal would cost about $111 per vehicle on those that already include antilock brakes, or a total of $479 per vehicle for the entire system. Automakers will need to comply with a 50 mph test involving a double-lane change. The requirement first was proposed last year, and the final regulations include a swifter phase-in plan. Stability control will be implemented beginning in the 2009 model year, when 55 percent of new vehicles will need to have it. By the 2011 model year, it will be in 95 percent of new vehicles. Congress had required NHTSA to implement a rule by 2009. CBSN legal contributor Keir Dougall explains why special counsel Robert Mueller's report "does not exonerate" President Trump, even though the investigation did not find that he committed any crime.